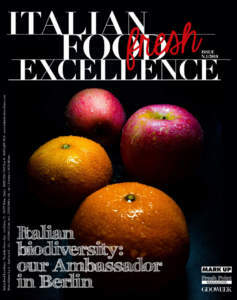 Monari Federzoni is located in the wonderful modena countryside. Here, surrounded by more than 100 hectares of vines, the grapes for its top-quality products are obtained and the whole process carefully monitored. The story of Monari Federzoni begins in a small attic above Elena Monari’s grocery store in the heart of the town centre of Modena. 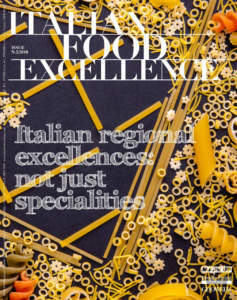 Today Monari Federzoni is a firm with a recognized brand appreciated in more than 56 countries in the world, but the soul of its products is still the same: the love and passion of a family for the excellent Balsamic Vinegar of the most authentic Modena tradition. An area rich in history and with a deeply-rooted culinary tradition that has always been focused on good life and good food. From Lambrusco, Trebbiano, Ancellotta, Albana, Sangiovese, Fortana and Montuni vines that can be find in the valley, the grapes used to obtain the best grape musts are collected. Integrated farming, selective harvest and the production of must cooked in open-air pots are the activities that vouch for our competence. Monari Federzoni guarantees excellence at each production stage, monitoring every single treatment. Musts are left to ferment naturally with wine vinegar in precious wooden vats and barrels. 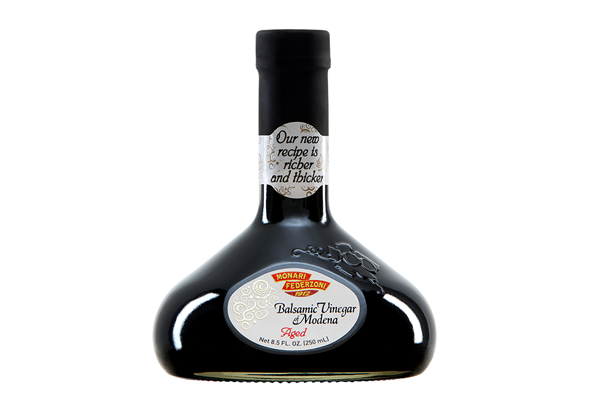 The must is one of the finest ingredients of vinegar, thanks to the aromatic complexity of its typical sweet “cooked” flavour that Monari Federzoni harmonizes in all its high-quality products. 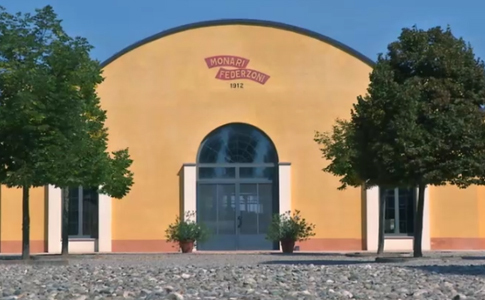 To ensure the highest quality in the production cycle, Monari Federzoni produces in-house the wine vinegar employed in fermentation processes. Thanks to submerged-fermentation acetifiers, the high-alcoholic content vinegar obtained is able to maintain and enhance the aromas of a carefully selected wine. 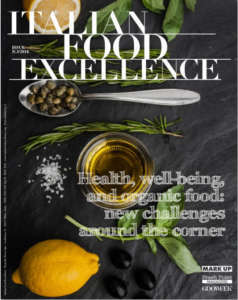 Care and attention that, along with three filtration levels and constant analytical, organoleptic and aesthetic checks, are a guarantee of monitored quality and provide Monari Federzoni Balsamic Vinegar with unique taste characteristics. A wooden vat capacity of 13,000,000 litres, employed for the “mature product”, and small barrels called “barrique” with a capacity of 300,000 litres for an “aged” product. 3 filtration levels, 12,000 checks every year on raw materials, 5 bottling lines diversified by type of product, size and automation. 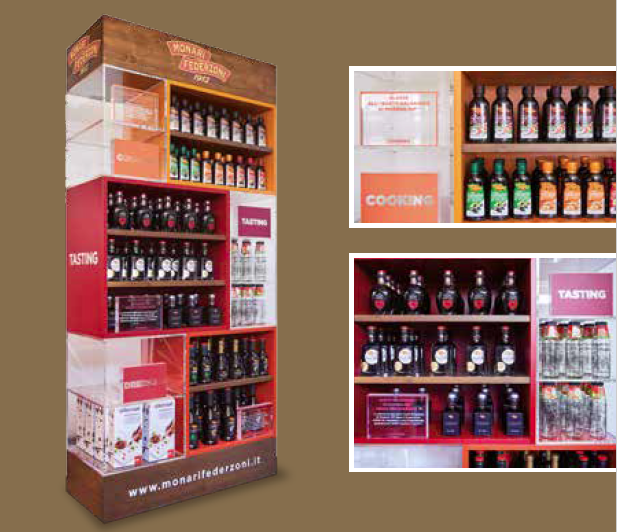 A daily production capacity of over 200,000 bottles and a completely electronic management of the production cycle of all components. 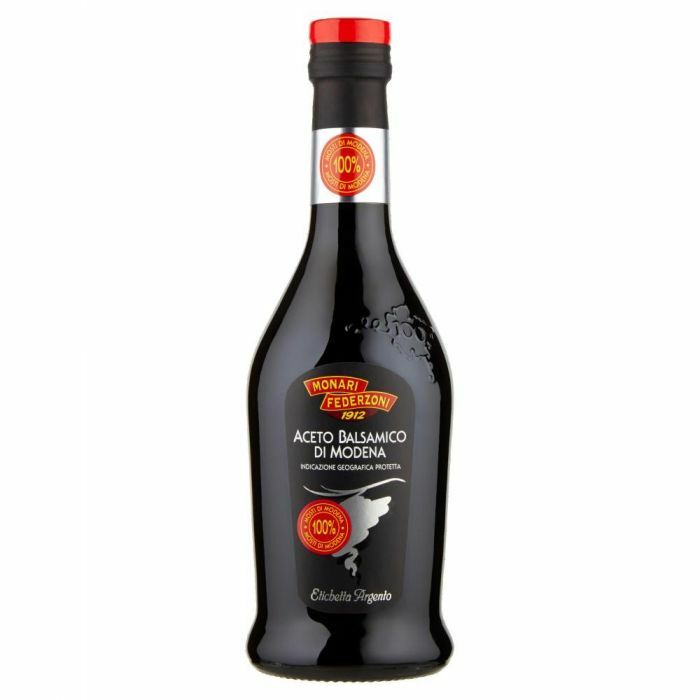 A selection of more than 300 references, including PGI Balsamic Vinegar of Modena, Organic Balsamic Vinegar of Modena, Kosher, Halal, Wine vinegar, Apple vinegar, Balsamic Vinegar of Modena glazes, which are flavoured too. Monari Federzoni has created a selection project that stands out from the market principles (price, positioning, etc.) and takes into account the new consumers’ requirements. Summarises the need for promoting a product culture through a kind of “experiential” marketing. Cooking, Tasting, Dressing is the new Monari Federzoni display proposal, enriched with objects and gadgets related to the world of dressing products and possible integrations with activities and uses. The care and attention to quality has enabled Monari Federzoni to obtain the main Quality System Certifications: Brc and Ifs (Higher Grade).